Drawing on the months and years after the death of his father, Colm Tóibín has created an elegant, honest portrayal of grief – not his own but his mother’s. By shifting the point of view he edges from memoir into fiction, but the truths remain. Nora Webster has lost her husband Maurice, the man she’d intended to spend her life with, and now has to re-learn herself without him. 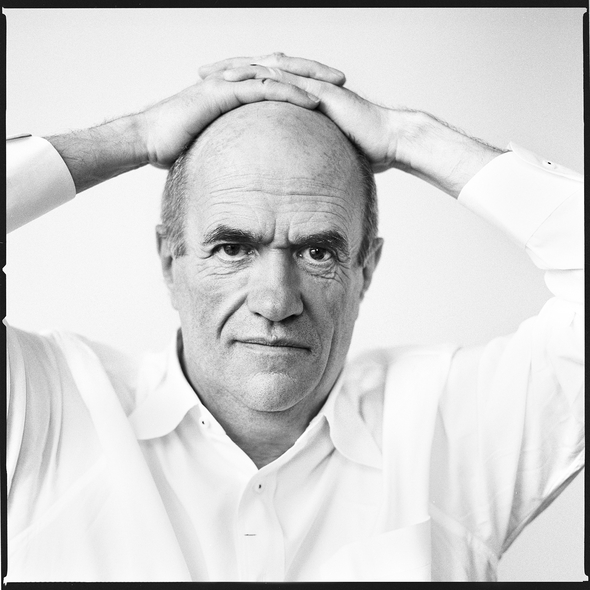 I first discovered Colm Tóibín through his voice, listening to him read one of his stories on some literary podcast. Of course, I fell at once in love – that cadence, that accent paired with his humour and intellect! Who could resist? 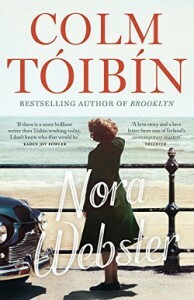 He visited my home town last week, appearing at Watershed for Bristol’s Festival of Ideas, to talk about Nora Webster, a novel drawn from his own childhood experiences, yet told from the point of view of a woman loosely based on his mother. This is not memoir – but it is deeply wound in with Colm’s own memories, and his desire to capture the feel of the time and place he grew up in as well as the feelings he witnessed his mother go through following the death of her father. He’s an extraordinary man – as comfortable with an audience’s gaze as he is with the quiet he must seek out to actually write. He speaks with wry amusement and a seductive generosity. Even those he finds baffling he regards with interest rather than anything like scorn. He is uncommonly candid about his thoughts on almost any matter, from his susceptibility to suggestions of places to visit, which he blames for the fact he’s lived and loved so many places, to his time as a journalist “causing trouble in Ireland” by gleefully asking GPs for prescriptions for condoms (“it’s a young man’s game”) to the referendum taking place in Ireland the day after his Bristol visit, which will decide whether the constitution should be amended to allow gay marriage. He describes a novel as “a thousand details”, and it’s a trait I’ve noticed in his short fiction too – layering telling details gently around his characters so that the world they move through becomes real, and their thoughts and behaviour becomes real. One of these scenes sowed the seeds that would become his bestselling novel Brooklyn, soon to be released as a film, so those 14 years weren’t solely devoted to the mulling and dithering required for Nora Webster. Nora Webster by Colm Tóibín is available to buy from Amazon.